Manila, Philippines – The Commission on Audit (CoA) confirms that the 2, 054 patrol vehicles purchased in 2015 by the Philippine National Police (PNP) were defective. Some P1.89 billion worth of patrol vehicles manufactured by an Indian car manufacturer in 2015 were found defective as stated in CoA’s annual audit report. CoA stated in its 2017 PNP consolidated annual audit report that there were numerous complaints against the India-made Mahindra vehicles, allegedly, the findings were validated through survey of different police regional offices. 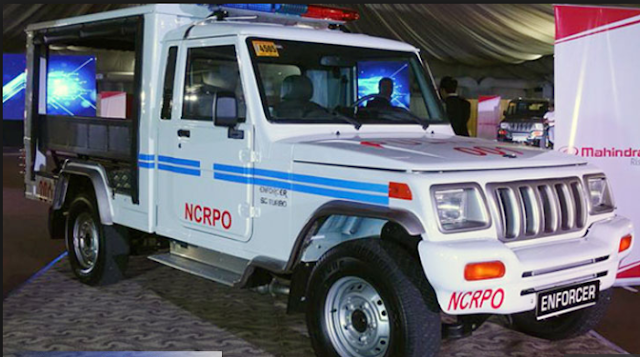 The 2, 054 total of patrol vehicles were intended for distribution to all PNP units throughout the country for better anti-crime responses, disaster relief and rescue operations and patrol. Reports also said that the Columbian Autocar Corporation (CAC) won the bidding to supply vehicles in 2015 when the PNP was still under retired Deputy Director-General Leonardo Espina. Further, in the same report by CoA, it said that PNP had paid for utility trucks, light personnel carriers and other combat assets worth P1,347,616,452.90 it procured from the Philippine International Trading Corporation (PITC). PNP allegedly had not received these items after more than two years. The said amount reportedly was intended for the purchase of 42 utility trucks, and other line items valued at P1.009 billion, then P101 million for six light personnel carrier and other items, P70.08 million for four units of Integrator and three other line items, 12 automatic grenade launcher and 15 other line items costing P156.7 million, and 3,300 units of Poncho and four other line items worth P10.48 million. To add, CoA also found out that there was no operational needs assessment conducted prior to Mahindra procurement. Then despite the complaints occurred, the PNP decided to purchase additional purchase. “The [additional]procurement therefore raised questions with regard to the decision made by the [PNP] management considering that months before the public bidding conducted in the National Headquarters in December 2015, the PNP has been aware of the current defects of the earlier delivered Mahindra Enforcers,” the report said. “should have been a warning to take a second look on the capability and reliability of the Mahindra manufacturer and the vehicles themselves knowing that the end-users encountered mechanical defects and the limited availability of spare parts not to mention its prohibitive maintenance cost,” the report added. “The respondents, who were the end-users of the vehicles, [were]comprised mostly of drivers who are also police personnel, responsible supply police non-commissioned officers, supply accountable officers (SAOs) and other PNP personnel who have direct use or have actual experience using the patrol vehicles and can readily provide factual responses,” CoA said. According to PNP’s Office of the Directorate for Logistics validated its survey which found out that 731 or 57.2 percent of the 1,278 survey respondents were unsatisfied with the Mahindra vehicles’ overall performance. The performance survey states that only 204 respondents or 15.96 percent were satisfied while there were 343 respondents or 26.84 percent were not.